This guest blog post is by Kayla Williams from hoopla digital. hoopla is an all-in one digital service. With hoopla digital, you can borrow, instantly stream, and download audiobooks, eBooks, comics, music, movies, and TV with the power of your library card! All formats are accessible via hoopla digital’s mobile app as well as online at www.hoopladigital.com. With 675,000 titles and growing, hoopla is constantly adding new content from a diverse group of big names in publishing and entertainment, such as PBS, The Great Courses, DC, Marvel, Acorn, A&E, and more! You can take hoopla to the big screen using Roku, FireTV, AppleTV, or Android TV. You can also enjoy music and audiobooks with hoopla on Amazon Alexa. The Read-Along eReader is a hoopla feature that supports young readers. Picture eBooks come to life with hoopla’s Read-Along eReader. Immersive Read-Along eReader technology allows graphics to appear as they would in a physical book. Read-alongs on hoopla are accompanied by audio tracks synchronized with the book; text will highlight in red in sync with the narrative audio for better comprehension. Kids Mode empowers kids to explore titles on hoopla that are made for them. When Kids Mode is activated, hoopla will only show content that is appropriate for kids, allowing them to explore the many family-friendly titles available on hoopla. With hoopla’s Action View— our comics and graphic novel reader — story arcs are more vivid and dynamic. When using the app, double-tap a panel and swipe left for a panel-by-panel guided reading experience. With no holds or waiting, the hoopla Book Club Hub makes title selection easy for book clubs of any size! 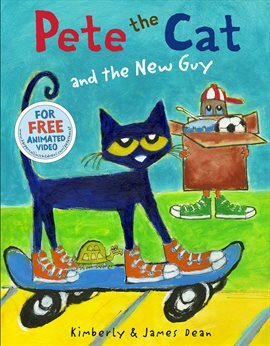 Learn more and find book club support materials at theclub.hoopladigital.com. So, how do you hoopla? To sign up for hoopla, you will need a valid library card. Ask your librarian for assistance to get started! 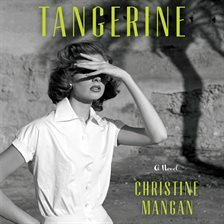 Kayla is currently reading Tangerine by Christine Mangan, a Hitchcock-style thriller that is a hoopla Book Club Hub Spotlight Selection. Find it and more great book club reads at https://theclub.hoopladigital.com.